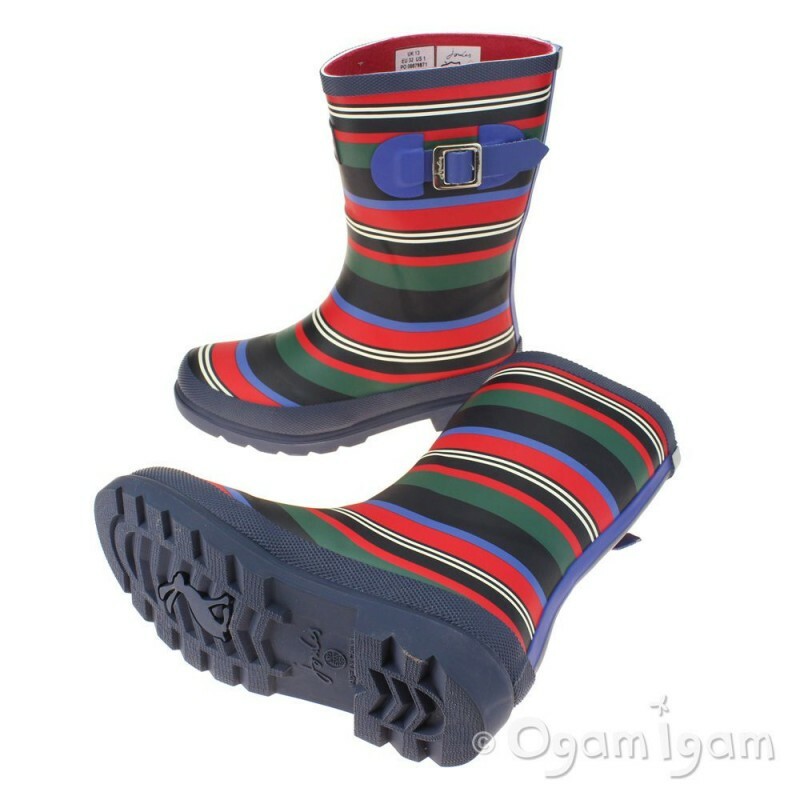 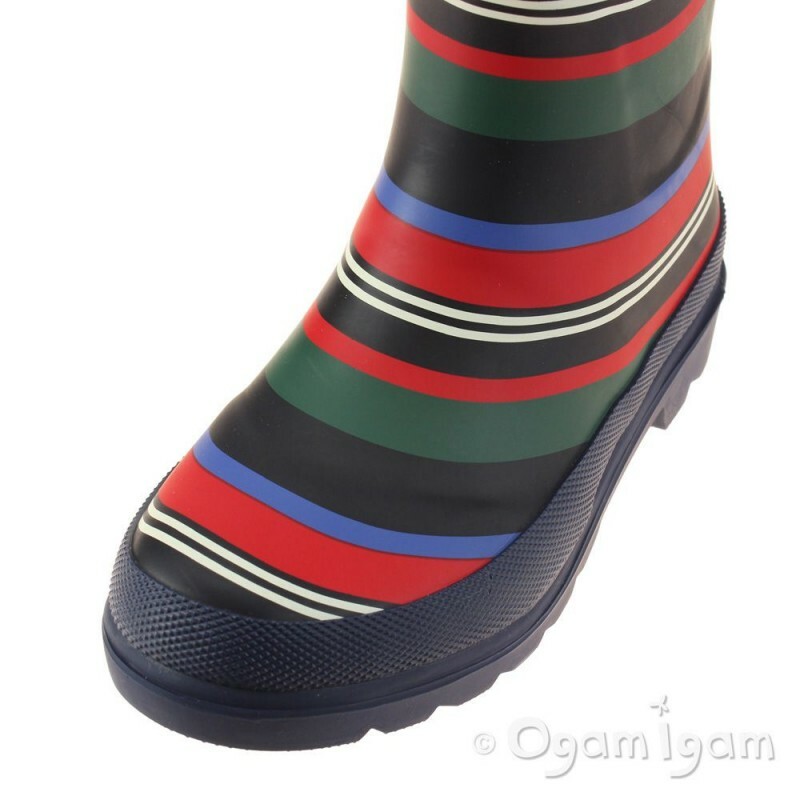 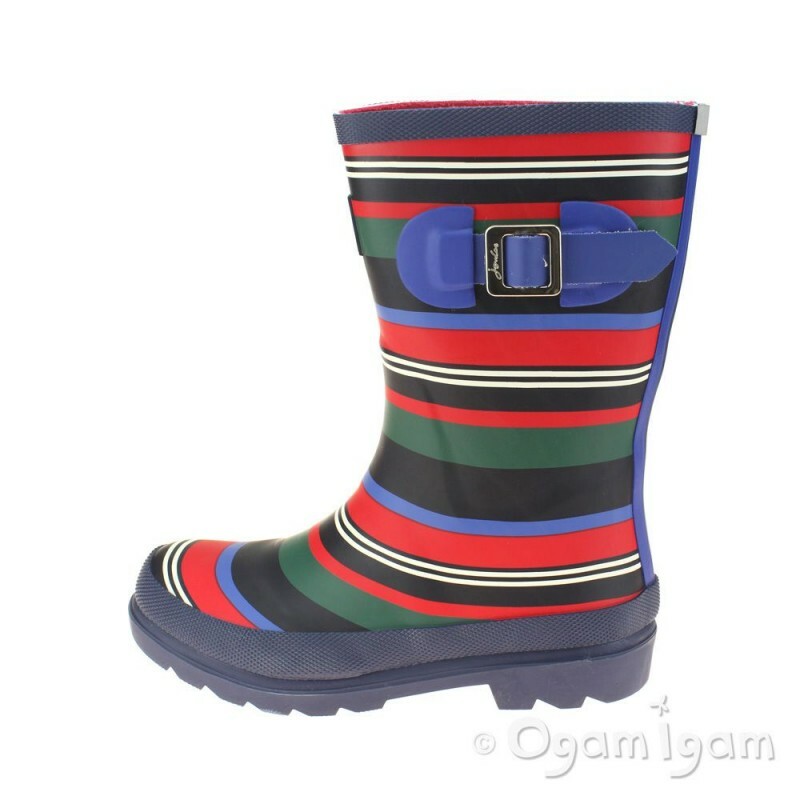 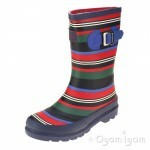 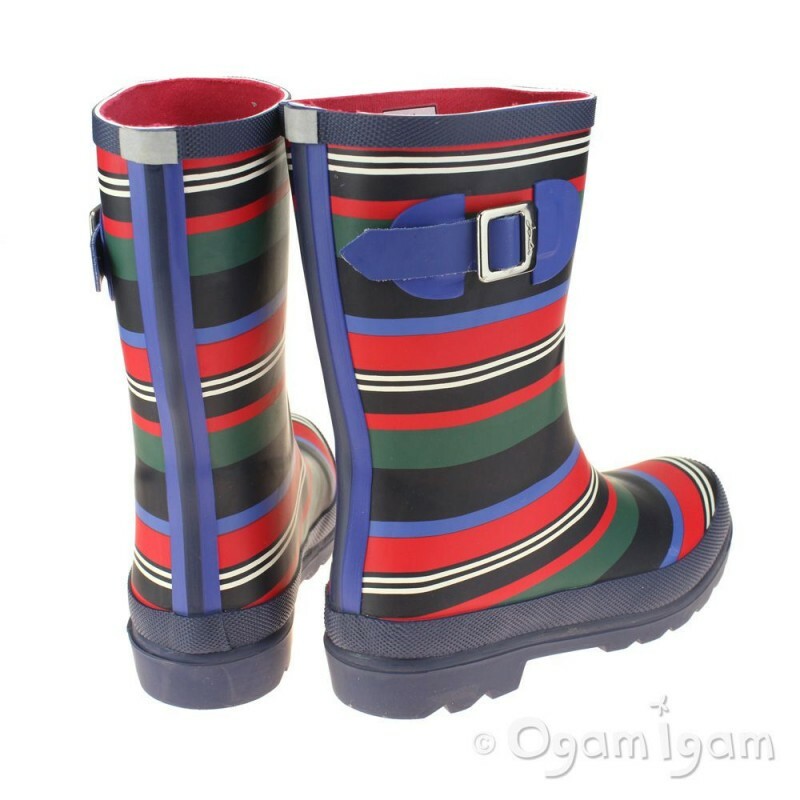 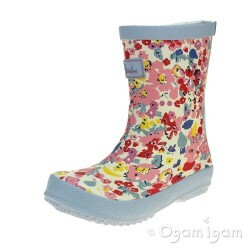 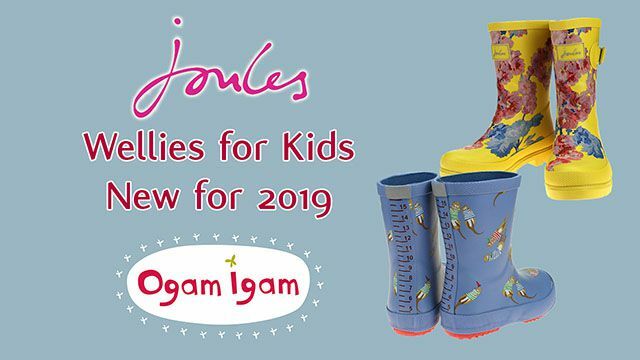 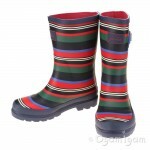 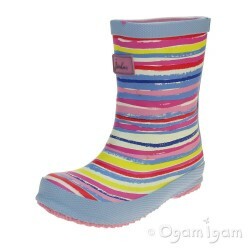 Joules kid's welly in multi-coloured stripes with a side buckle detail. 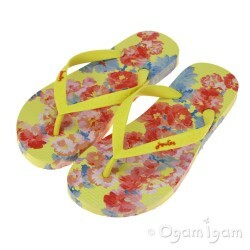 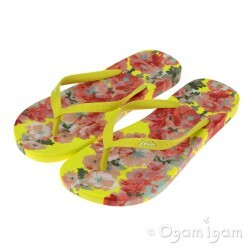 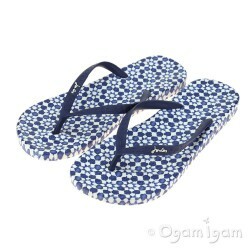 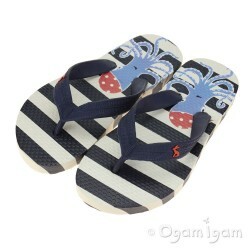 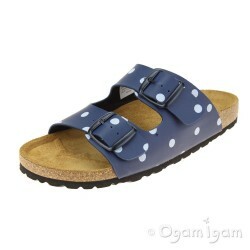 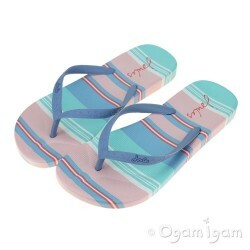 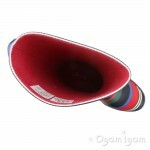 Harwearing rubber construction with a comfortable red textile lining and enhanced tread grip pattern. 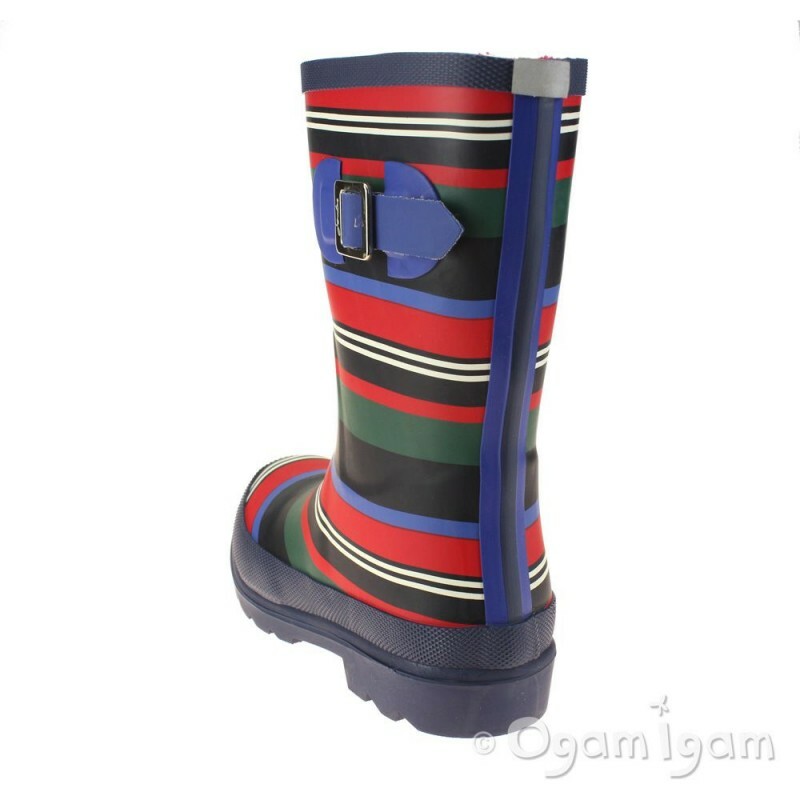 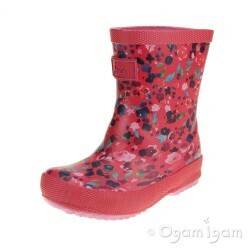 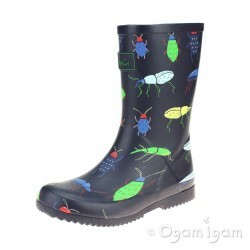 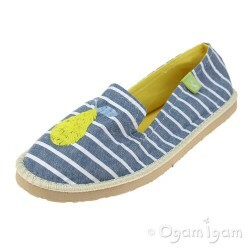 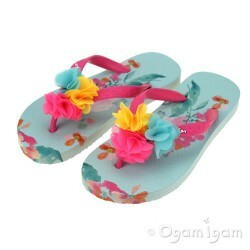 Just perfect for those unavoidable muddy moments that are just around the corner for superior puddle proofing.